Around a campfire or at afternoon tea – Tanzanians will capture your admiration and your imagination. You will return with fond memories of the Tanzanian people just as much as the world-famous wildlife. Expand your experience through village and town visits or be welcomed (Karibu!) into a typical Tanzanian home through home visits and home stays. 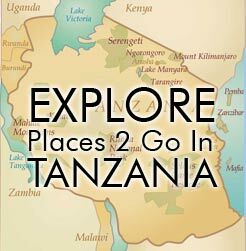 Your guide will make it easy and comfortable to interact with the friendly and welcoming Tanzanian people.